We have a couple lubricants that are perfect for CNC machining and milling. 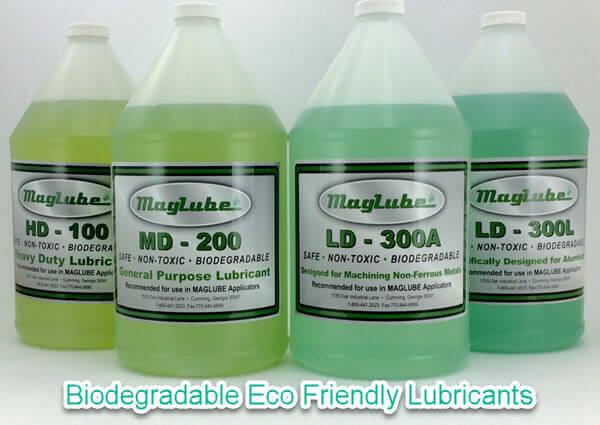 Many of our customers prefer our MagLube LD-300L for CNC machining. But depending on the type milling and cutting you’re doing… and depending on the materials being used, our multi-purpose MagLube MD-200 may be what you’re looking for. If you’re needing a non-ferrous lubricant when working with plastics and specific types of metals… our MagLube LD-300A may be perfect for your needs. Our lubricants will work with any micro lubrication system. But we recommend using one of our custom MagLube MQL systems, or setting up one of our MQL system packages for an all in one solution.